Low volume roads (LVR) are most accessible road network in India, and it contains thin asphalt surface (less than 100 mm). For this type of roads, a light weight deflectometer (LWD) may be useful for structural evaluating the pavement layer moduli and overlay design. In some parts around the globe, still uses conventional Benkelman beam deflectometer (BBD) method for structural evaluation purpose. 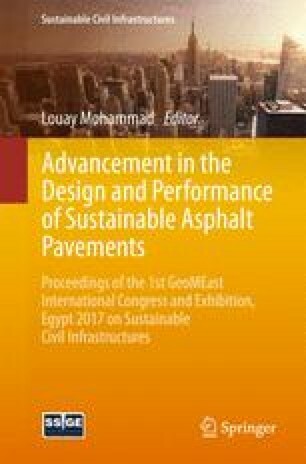 In this paper, an experimental stretch 550 m length and width 7 m was considered for structural evaluating the pavement using LWD and BBD. Pavement deflection response data collected using a Benkelman Beam deflectometer (BBD) and lightweight deflectometer used to identify structural integrity of pavement. Deflections collected by LWD using 20 kg falling weight with radial geophone spacing 300 mm and 600 mm are used in this study. The proposed methodology for overlay design using LWD, LWDmod, and KENLAYER software’s results was discussed. Obtained backcalculated layer moduli results are used to calculate critical stresses and strains generated by standard axle load of 8 tons by using KENLAYER software. The LWDmod overlay thickness analysis ranges from 28.00 to 180 mm, and BBD based calculated overlay thickness ranges 10 to 210 mm were observed. The correlation of deflection values between LWD and BBD was found with R2 value of 0.741. The practical shortcoming of deflection correlation between BBD and LWD may be overcome by using more data points of LWD in Indian conditions for further research.